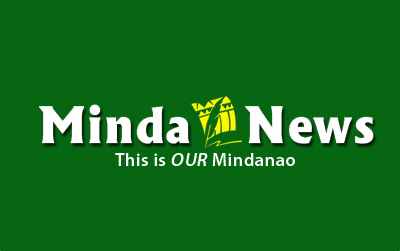 DAVAO CITY (MindaNews/ 14 March) — A 105-second video clip posted late afternoon of March 9 by a priest on the torture of a Tagakolu farmer and his 15-year old son prompted a swift response from authorities, with the suspects — an Army corporal and four members of the Special Cafgu Active Auxiliary (SCAA) — relieved before midnight. Fr. Joey Gánio Evangelista, MJ who heads the Malita Tagakolu Mission in Sitio Matamis, Demoloc, Malita, Davao Occidental told MindaNews last Friday that military officials came to the Mission house on Thursday noon, less than 24 hours after his post on the Facebook wall of Tagakolu Aku and informed him of the action they had undertaken on the reported torture. He said at least six soldiers came, including Captain Manuel Mendoza of the 72nd Infantry Battalion, immediate supervisor of Corporal Sandy Batolbato and the SCAA. “I was also informed by some of the residents evening of March 9, that an Army truck came to Demoloc to pick up Batolbatol and four SCAAs: Bantam, Jerome and two others,” he added. The priest said he did not expect the response would be swift. “ Surprisingly, paspas sila” (they were fast). In a telephone interview with 2Lt. Rojie Daryll Cansancio, Assistant Civil Military Operations Officer of the 73rd Infantry Battalion based in Barangay Felis, Malita, said they were alerted by the 10th Infantry Division based in Mawab, Compostela Valley province on the Facebook posting about the alleged torture. “We immediately assembled a team to go to Barangay Demoloc at around 8:30 in the evening of March 9 to fetch Corporal Batolbatol and SCAAs who were involved in the alleged torture,” Cansancio said. “According to S3, they arrived in Barangay Demoloc at around 10 o’clock in the evening, replaced Batolbatol with our men. Batolbatol and four other SCAA members arrived in our battalion at around 2 in the morning. Then they were brought by their commander to Mawab,” he said. Lt. Col. Ronnie Babac, commander of 73rd Infantry Battalion confirmed that Batolbatol and the four SCAA members were pulled out that night and brought to the 72nd Infantry Batalion camp in Mawab, Compostela Valley, some 200 meters away. “Noong gabi na yun…pina pull out na namo asap ang involved…ako mismo dili nako gusto amicable..punish guid.” (We had those involved pulled out that night. I myself do not want it to be settled amicably, they should be punished). Pfc Alonzo Pepito of the 73rd Infantry Battalion, who arrived in Demoloc at 11:30 to replace Batolbatol, said a team led by 1Lt James Talusig left Demoloc with Batolbatol and the SCAA members near midnight. Asked about reports on pouring iced water on apprehended erring residents, Pepito said it was the first time he heard of this. 1Lt. Tere Ingente, Civil Military Operations officer of the 1002nd Brigade based in Malungon, Sarangani which oversees the operations of the 73rd IB said this is the first “alleged human rights violations” that they have monitored. “As far as I am concerned, this is the first case that surfaced, but we will welcome if there are other cases. They have to file a complaint, and we will welcome it,” she said. The video that generated 15,067 views and 313 shares as of 11:55 p.m. Sunday, shows a man wearing a military fitness shirt pouring iced water on Kaido who was made to sit on the steps of the SCAA detachment. The same man poured an entire bucket of water on Kaido. Kaido narrated that he and his 15-year old son were also made to squeeze ice between their armpits. Ice was also placed on their buttocks and groins. Kaido identified Batolbatol, and two of the four SCAA members as Bantam and Jerome Saniel. 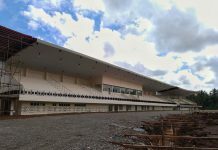 “Ila kong gipa-ipitan ug ice sa akuang ilok, kung mahulog ang ice kay ilang sumbagon ang akuang kamot,” Jerome said. It also encouraged Fr. Joey to get in touch with the nearest Infantry Battalion in the area (73rd IB in Malita) to file a complaint against the perpetrators. “Rest assured, the Army will investigate on the matter and give the appropriate sanction to the personnel who committed such act,” it said. Kaido told MindaNews he would file charges against the perpetrators.